Did you ever wish you could find a single book with common-sense prepping advice you could actually implement? 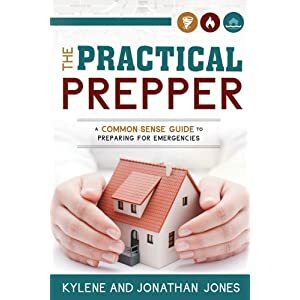 The Practical Prepper is just that, a must-have read for both neophytes and seasoned preppers alike. The writing is down-to-earth, easy to understand, with sections logically organized according to expected needs. Thus delightful book includes chapters on food and water storage, medical concerns, emergency heating, lighting, and cooking, sanitation, communication, fuel storage, shelter, and much more. It is not a wilderness survival guide, but rather a realistic approach to what a normal family can and should so to weather a crisis and safeguard loved ones. Throughout the book the authors offer multiple solutions to common problems, recognizing that one answer cannot fit every situation or budget. For example, Chapter 8 discusses “Water Disinfection and Purification,” and includes sections on boiling, pasteurization, chlorine, calcium hypochlorite, iodine, solar water disinfection, as well as numerous types of filters. Costs are discussed as well, allowing you to choose whether to invest in a $1500 Katadyn Expedition filter, or perhaps a $25 LifeStraw Personal Water Filter. I especially enjoyed the discussion of “Emergency Cooking,” which stresses safety and inventiveness. Who’d have thought you could make an oven from a paper box or an inner tube? Lest prepping for every contingency appears an overwhelming task, just get started is the message of Chapter 1. No one can accomplish it all in a day. The book makes it easy to take small, practical steps toward improving your odds of survival should disaster strike. Devoting only half an hour a week to emergency preparedness will put you far ahead of the unprepared masses. But the authors don’t want to leave your neighbors in the dark. Community is important now and will be so in the future. An entire chapter is devoted to moving beyond your immediate family to helping your local community prepare. Another major focus of The Practical Prepper is organization. It does little good to have a dozen flashlights if you can’t find even one. Where are your legal documents? Where is your hand-crank radio? How should your food be organized? Again the authors offer many ideas from which you can pick and choose to fit your personal goals and budget. 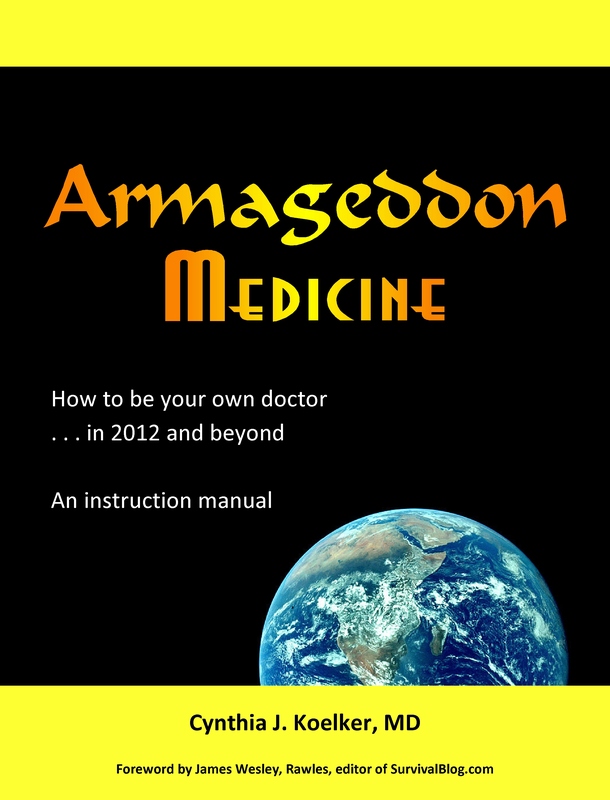 Lastly, as a physician let me draw attention to Chapter 11 entitled “Medical – The Doctor Is Out.” This section is a nice summary of concerns that must be addressed when no medical care is available, and includes discussions of prescription medications, first-aid supplies, over-the-counter preparations, keeping a personal medical information record, antibiotics, quarantine, and more. Educating yourself is also stressed, from CPR to Community Emergency Response Teams (CERT). Everyone would do well to heed their common sense advice, then consider moving to more advanced training once the basics are in place. In summary, you can’t go wrong acquiring this handy survival manual. Consider it an investment in your future and that of your children, when (not if) a crisis arises. This entry was posted in Bookshelf, Preparation, Slide show. Bookmark the permalink.